Premier Daniel Andrews has welcomed a Victoria/China solar technology partnership during a trade mission to China that will create 200 jobs in the state. Friends of the Earth say the announcement is good news for renewable energy jobs in Victoria, and reaffirm the need for strong state government policies to grow the renewable energy sector. Technology company RayGen Resources Pty Ltd, based in Blackburn in Melbourne’s eastern suburbs, will partner with Chinese company JuYe Solar. RayGen will build receivers for concentrated solar photovoltaic (CSPV) systems that will be deployed in China–creating jobs in engineering, manufacturing, and research. “Chinese investment in Victorian businesses is helping to create jobs in our state,” said Premier Daniel Andrews. Friends of the Earth welcome the agreement between Chinese and Victorian renewable energy technology companies. “China’s renewable energy sector is booming. Victorian tech companies have the skill and expertise to seize the opportunities presented by China’s renewable energy revolution,” said Yes 2 Renewables coordinator Leigh Ewbank. 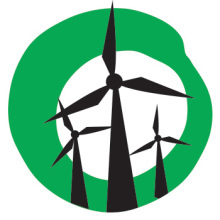 Friends of the Earth says international agreements on renewable energy technology will grow the sector and jobs. However, it will be strong domestic policies from the Victorian government that will create many times more jobs. “Strong state government policies will attract investment and create thousands of jobs in Victoria’s renewable energy sector,” said Leigh Ewbank. Heard CEO of Raygen on ABC RN lately, adamant that manufacturing would say in Australia, even for products destined for China.